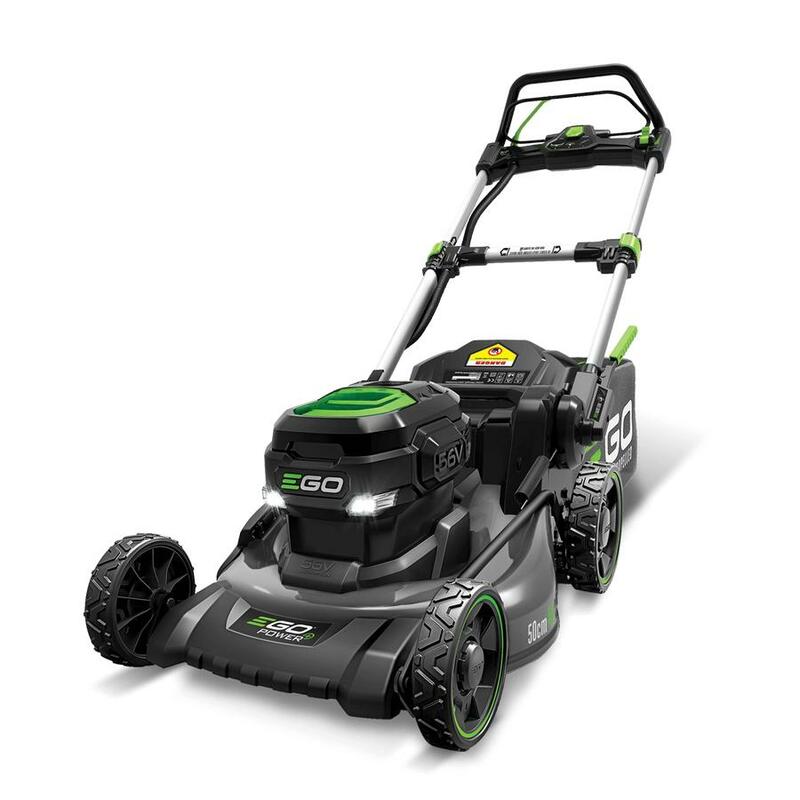 The 50cm steel deck push mower has comfortable operating controls mounted onto aluminium handles that fold down for easy transport and storage. The brushless motor ensures that there is ample power to fill the 60 litre grass box. 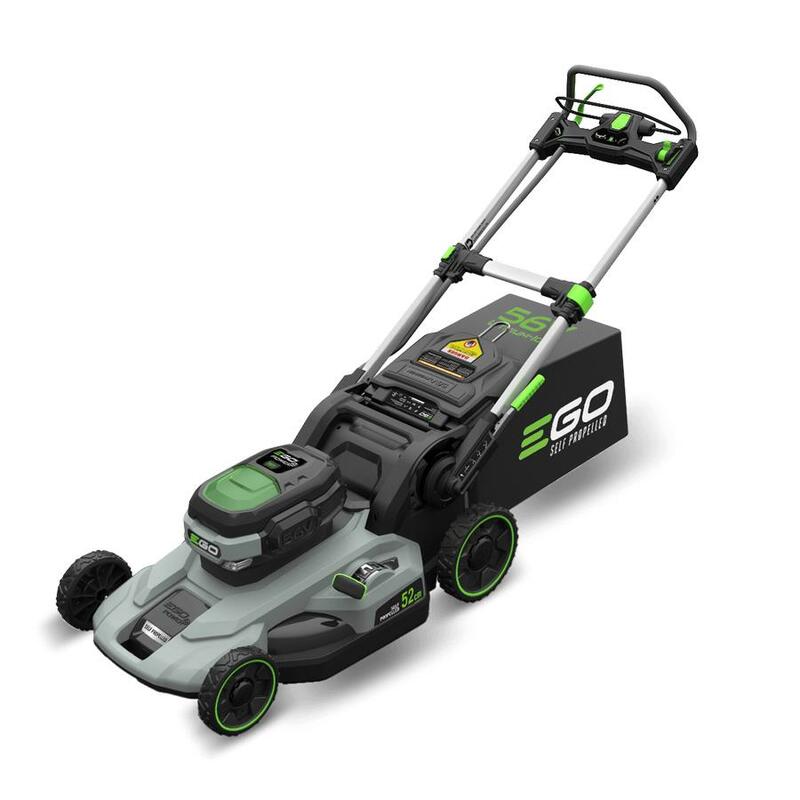 Significantly quieter than a petrol mower and with far lower service costs and zero emissions during use, the 50cm EGO Power+ mower features a hard wearing steel deck with a large cutting capacity. This lets you comfortably tackle any lawn in less passes, while the large capacity bag needs emptying less often. The variable speed self-propel motor keeps you in control as you cut. Plus on a single charge our battery gives you up to 35 minutes run time. Automatic Variable Speed on selected models, delivers optimal cutting speed to maximise battery run time whilst maintaining grass cutting performance. The 3-in-1 functionality lets you bag, mulch or side discharge clippings while the LED headlights let you work further into the day. And when you’re done, the easy-fold design makes cleaning and storage simple. 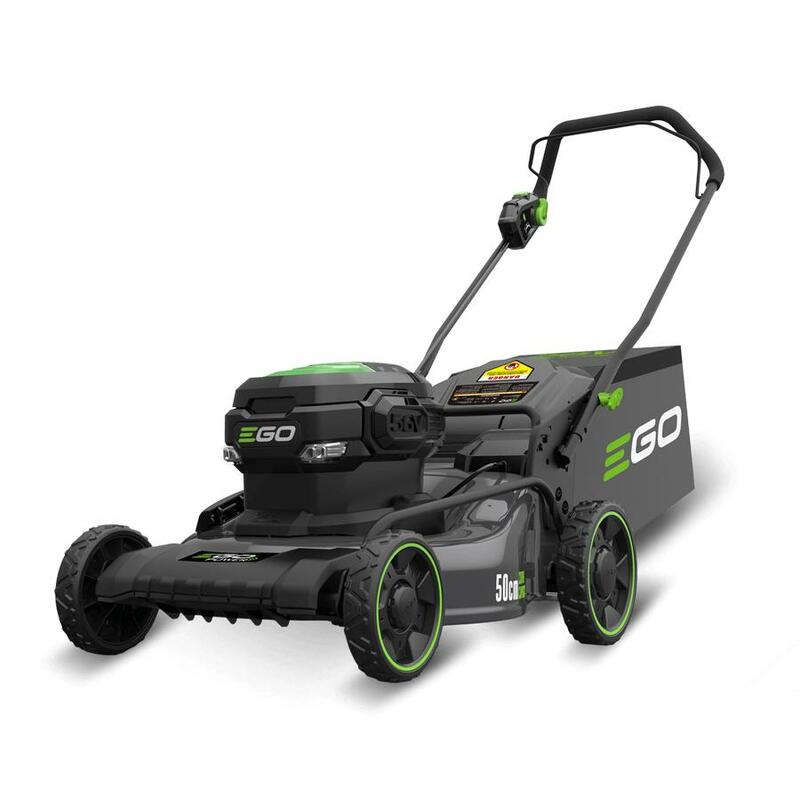 Significantly quieter than a petrol mower and with far lower service costs and zero emissions during use. 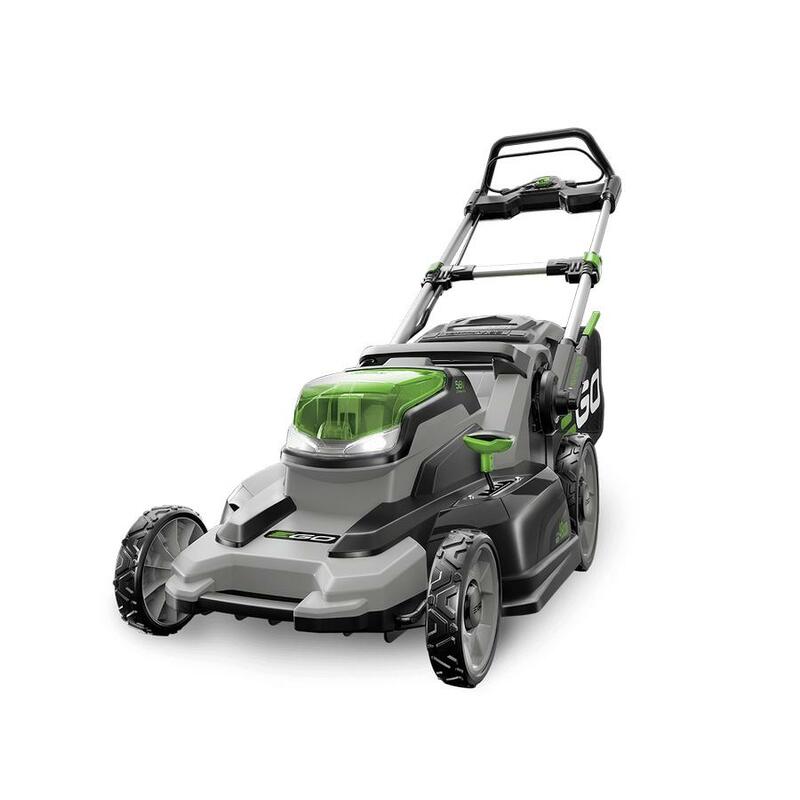 The LM2122E-SP has a large cutting capacity which lets you comfortably tackle any lawn in less passes, while the large capacity bag needs emptying less often. The variable speed self-propel motor keeps you in control as you cut. Plus on a single charge our battery gives you up to 50 minutes run time. 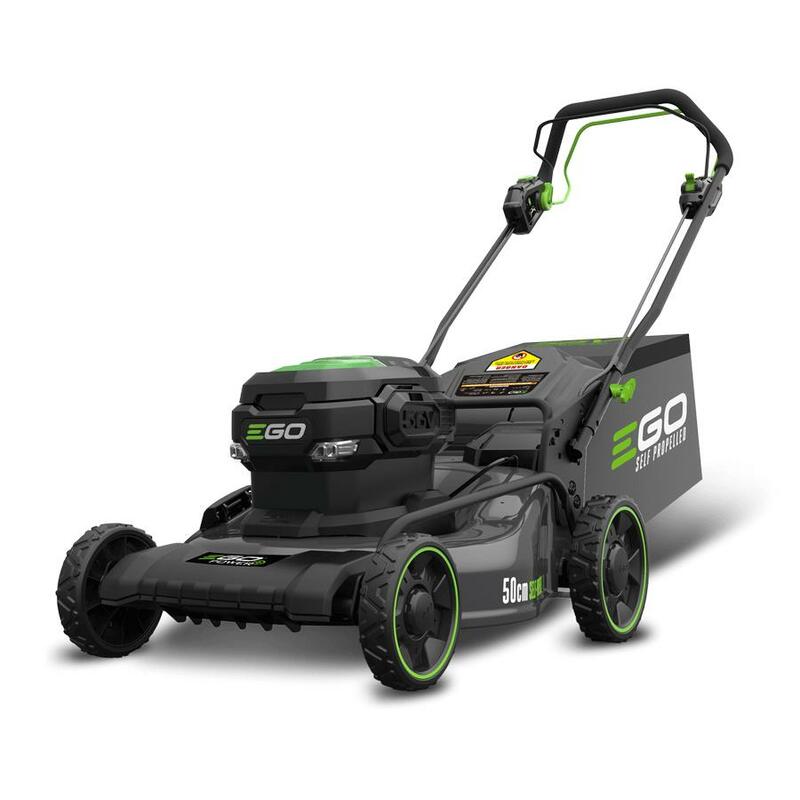 Featuring a brushless motor and automatic variable speed, the LM2122E-SP delivers optimal cutting speed to maximise battery run time whilst maintaining grass cutting performance. The 2-in-1 functionality lets you bag or mulch clippings while the LED headlights let you work further into the day. And when you’re done, the easy-fold design makes cleaning and storage simple. For more details on Ego Lawnmowers click the logo below to visit their website.